Expand Your Recruiting - Northern Virginia Temporaries, Inc.
Leveraging the most effective recruiting technologies and teams, NVT Staffing can augment your in-house recruiting efforts. When you post job opportunities on our internal job network, they also harness our nationwide network of recruiters – a dynamic team of professionals who work through us, to meet your needs. 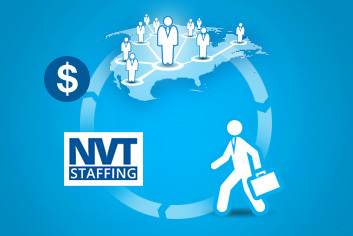 Let us demonstrate how you can benefit from the most effective recruiting services, offered only by NVT Staffing. Please e-mail or call us at 703.761.4357 – and bolster the ability to attract the best talent.